Raise your chubby fingers if this sounds familiar. 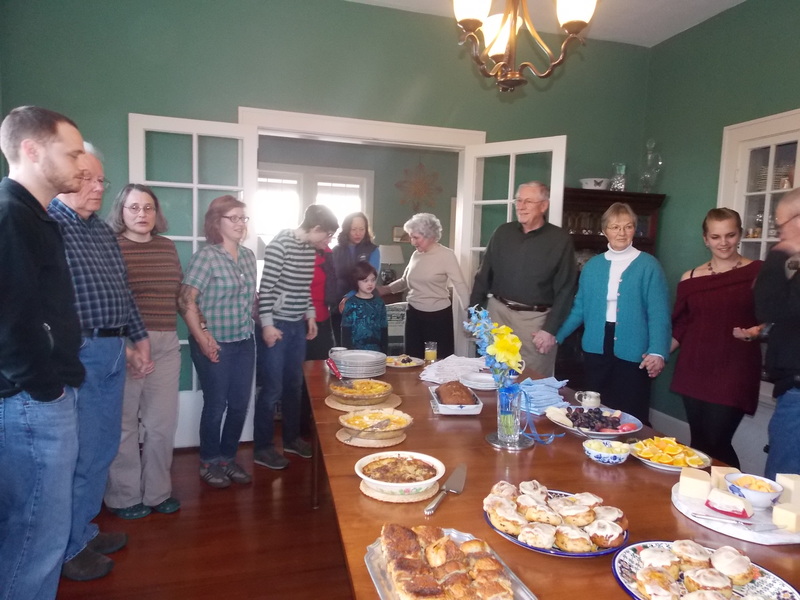 When I think about the First Presbyterian Church (Watsontown PA) where I grew up, I remember a long table covered with casserole dishes (and one of our ministers missing a pinky tip from his time in a leper colony). 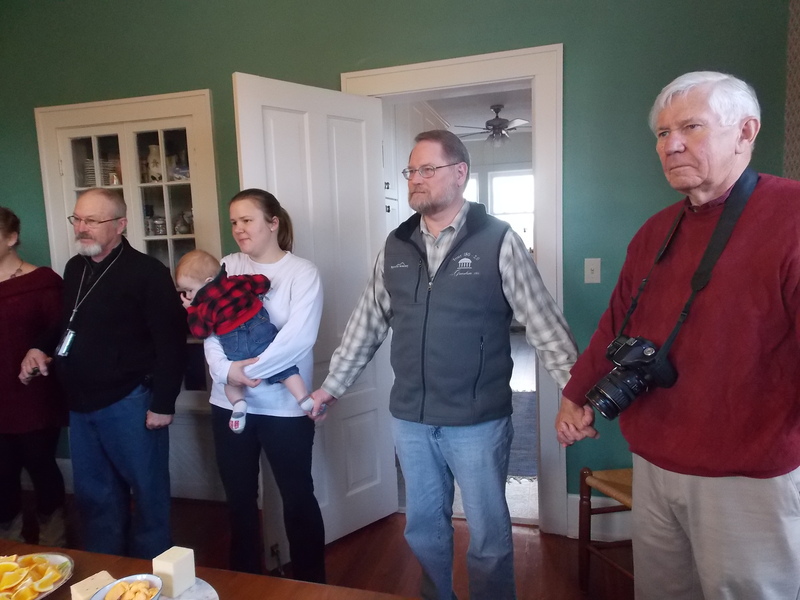 In the South we have homecomings and lunches “on the grounds,” all occasions to break out every recipe banned from our daily repertoires since the advent of Healthy Eating. Our current church has just switched from potlucks to caterer, and I could not be more disappointed. We’re reading Ross Douthat’s 2012 Bad Religion: How We Became a Nation of Heretics right now in Sunday School, and I’m completely surprised by the statement that “The Protestant Mainline’s membership stopped growing abruptly in the mid-1960s and then just as swiftly plunged.” I guess I was eating. I would say it was communion, but we all know better. Or do we? Didn’t Jesus serve bread and wine to those closest to him? 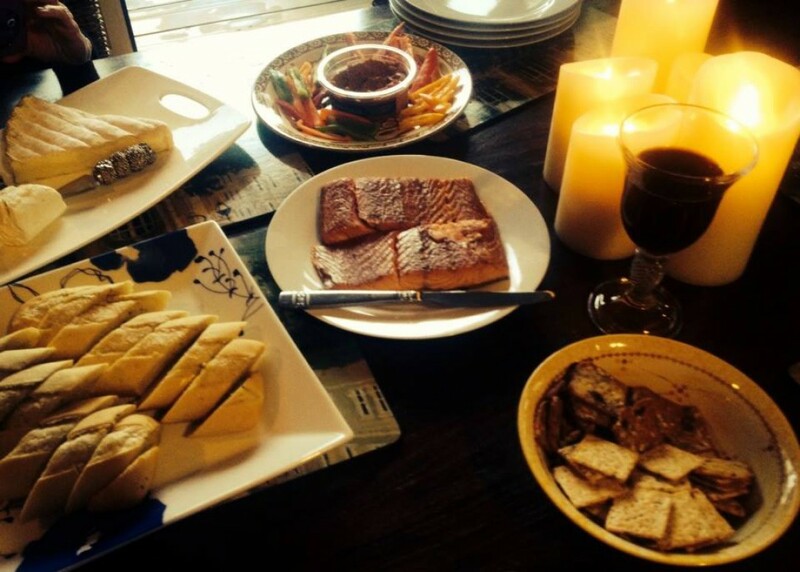 Do we not commune, become more of a community, when we share a table? overeating all last weekend at our friends’ wedding festivities, we had to break up our 3-1/2 drive home (that’s a long time in the pickup with no food!) with a stop at Three Little Pigs Barbecue in Daleville, Va. Now that I know this food Valhalla exists in all its funky glory, right off I-81, I cannot drive past the sweet potato fries therein. 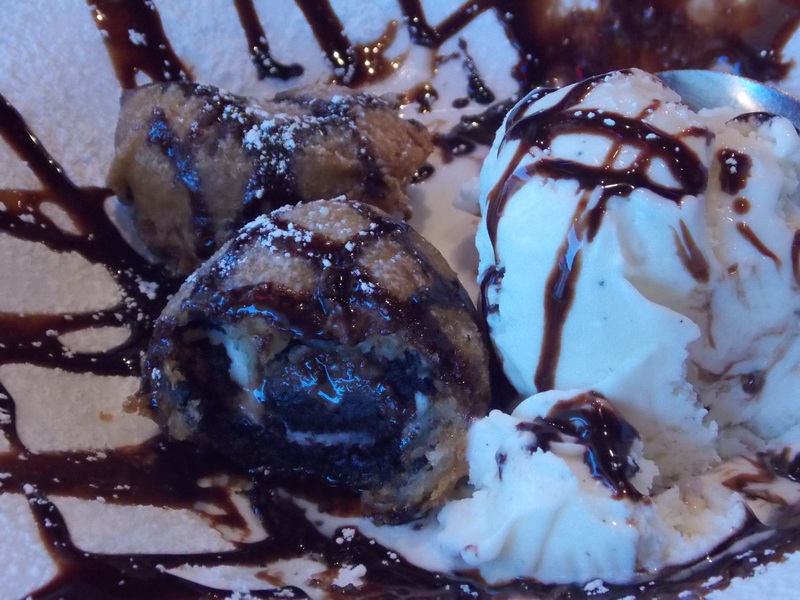 And since this most recent stop, we also know about deep-fried Oreos. I’d read about the latter but thought it sounded like a waste of effort and calories. I’m not a huge Oreos fan and try (occasionally) to rein in my natural inclination toward lily-gilding. What I didn’t know was that the Oreo gets soft in the frying process. Thus, a perfect mooshy mouthful of chocolate, sugar and fat. Kinda truffly. To our credit, we ordered “only” 2. 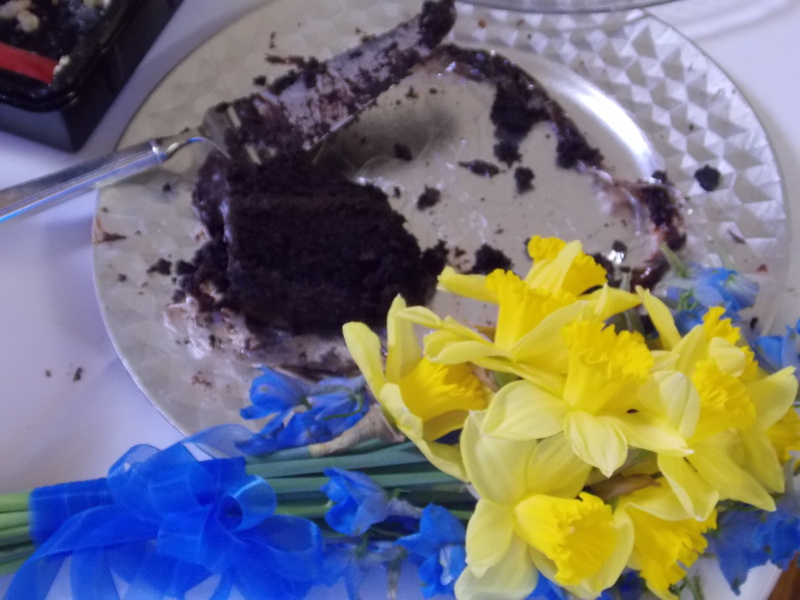 I had to be restrained from licking the plate. 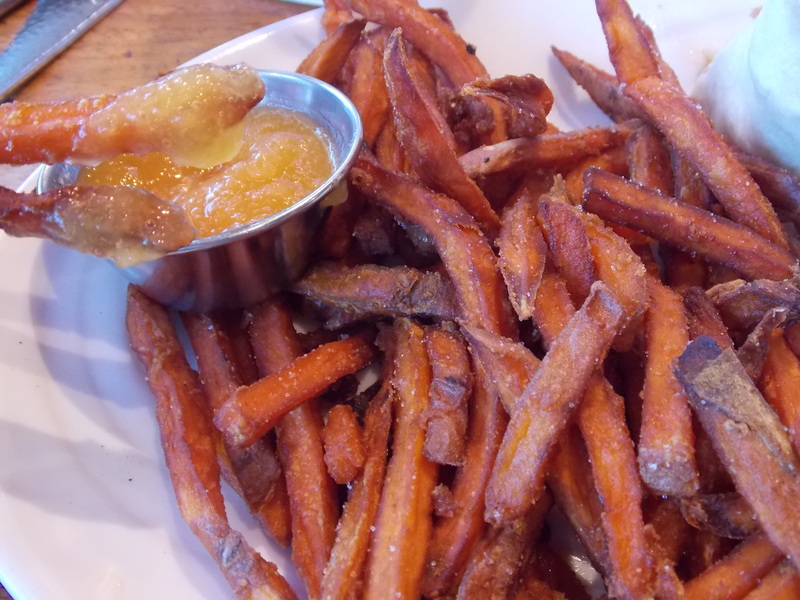 Sweet potato fries served at Three Little Pigs with their own peach preserves. Yeah, me, too. Luckily, so was Billy so he fixed chicken noodle soup and p.b. crackers for the invalid.